I’m not a huge Oscar fan but I was watching with half an eye on Sunday night when I heard Lupita Nyong’o’s brilliant acceptance speech and I was touched when Jared Leto looked directly at his mom and spoke about her struggles as a single mother in his acceptance speech. A little later I squirmed in my seat when John Travolta mangled Idina Menzel’s name. Correction, he didn’t just mangle it he chewed it up and spit it out, rendering it unrecognizable. It was a cringe worthy moment. I’ve never liked slapstick comedy and this reminded me of slapstick, watching people humiliate themselves has never struck me as entertaining or funny. It was an unpleasant moment which should have been allowed to pass into history, but never in my wildest imagination did I think that that moment would become the most talked about moment of the evening. The following day I woke to a Facebook wall with a smattering of people wanting to know what their names would sound like if John Travolta had an opportunity to mutilate them. Use this widget “to Travoltify your name,” was the line used to encourage others to participate. And as the day wore on more and more people hopped on board that bandwagon. Isn’t it everyone’s worst nightmare to be onstage with a billion people watching and you flub your line? Have we no compassion? That night on the national news they showed a clip of Travolta’s error. Was it really national newsworthy? With everything going on in the Ukraine it hardly seemed worth a mention that John Travolta screwed up his line on the Oscars. Granted Travolta is no ordinary humanoid. And I know there are those who will argue that he’s a highly paid professional who has put himself out there but that doesn’t mean he’s not a person and I’m less concerned about Travolta than I am with the lesson we are teaching our children. From a very young age we teach our children not to make fun of each other. We tell them it’s wrong to mock other children. Can you imagine if we told our kids it’s okay to make fun of children with speech impediments? If we truly believe that it’s not okay to mock others, how can we, as adults, be okay with this? 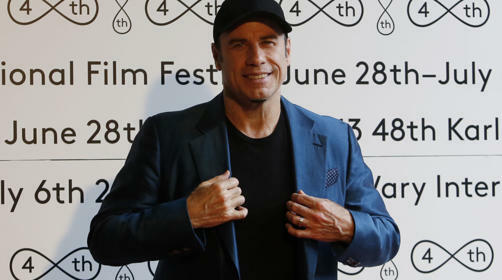 It hardly matters whether or not Travolta has Dyslexia, what matters is that we, as a collective are being cruel and we are being cruel for shits and gigs and because it’s easy. We can be cruel without seeing the hurt we’re causing which doesn’t make it any less hurtful. Come on, we are better than this. Figuring it out… Create a free website or blog at WordPress.com.